A 31-year-old man has been arrested after drugs with an estimated street value of £150,000 were seized in the Isle of Man. 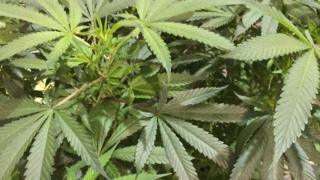 Police said the suspected cannabis resin and bush was recovered from a property in Douglas following an operation on Thursday evening. A force spokesman said more than £30,000 in cash was also recovered. A man has been arrested and is helping police with their inquiries, the spokesman added.